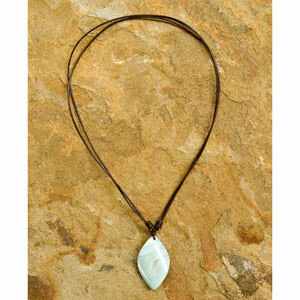 A minimalist design hand-crafted by jewelry artisan Ying. 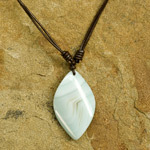 She knots a polished agate pendant on leather strings. The necklace length can be adjusted by sliding the strings.